Sometimes a computer web browser like Chrome may be slow, stumble, and stop responding. 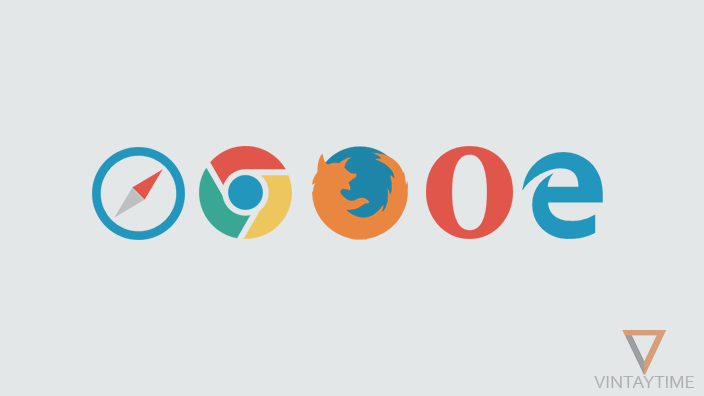 Google Chrome is one of the best and fastest web browsers in the world, but you know that Chrome and chromium-based browsers are eats so much computer memory (RAM) compared to any other browser. A fresh installation of Chrome browser on a computer gives you a fast performance experience, but after a few weeks the browser and browsing speed is slowed down (according to daily usage) and we are just complaining to our internet service provider. If web browsing is slow, first test your internet using the internet speed test tools and if it is okay then fix the performance of your Chrome browser using the methods given below. Browsing data like cached images and files, cookies, download history, and browsing history increases according to the usage of daily browsers, and it can slow down your browser performance when it is too much. You should clear Cache, Cookies, Browsing and Download history of your web browser in order to make the browser fast again. 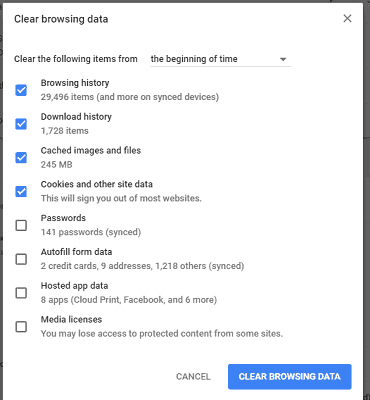 To clear browsing data in Google Chrome on computers: Open the Chrome menu, go to history, and then click on the ‘Clear Browsing History‘ link on the right-hand side. Select the time period ‘the beginning of time’ and check browsing history, download history, cached images and files, and cookies. 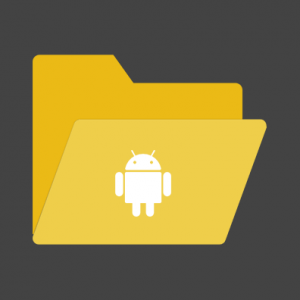 Clear browsing data and restart your Chrome browser. If you use Chrome in incognito and guest mode, browsing data will not be saved. Some browser extensions are added by you, some are unknown, some are unnecessary, you can review that your Chrome browser is slowing down because of this, browser extensions can make the performance of a web browser worse If, continuously runs, especially due to those toolbars and notification extensions. 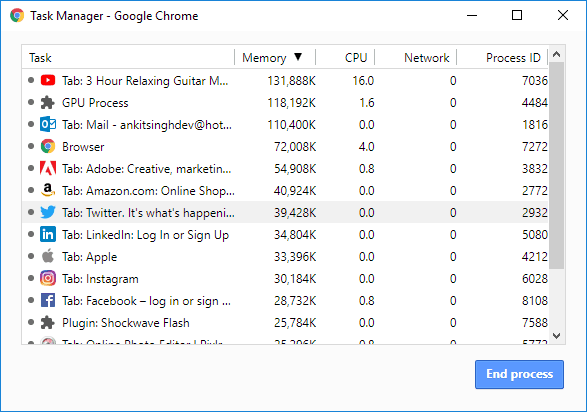 You can see which extensions is eating more Memory in the Chrome Task Manager. Open the Chrome menu, go to ‘More tools’ and then choose Task Manager. Windows computer users can use Shift + Esc key. 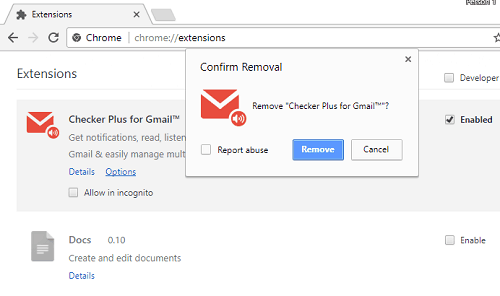 To disable or remove browser extensions in Chrome, type chrome://extensions in the address bar and hit Enter. More tabs and window that you open in a web browser, the browser app will have more memory usage. Specifically multimedia content streaming in those browser tabs such as YouTube videos. Pirate sites contain a script that opens multiple browser windows in the background without your permission, so focus on activating these websites. Open the Chrome Task Manager (Menu> More Tools> Task Manager), open some websites and new tab and see how memory usage is increasing. Now you will understand how a new tab and window will affect the computer memory. Malicious software running on your computer can cause problems with web browsers, such as open ad links in many browser windows, installing unusual browser extensions, and crash your browser app. 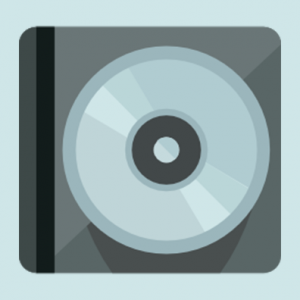 You can run the official Chrome Cleanup Tool on your Windows computer to scan and remove software or malware that may cause problems with the Chrome browser. Malwarebytes Anti-Malware is one of the best software application to remove malicious software from Windows and Mac computers. 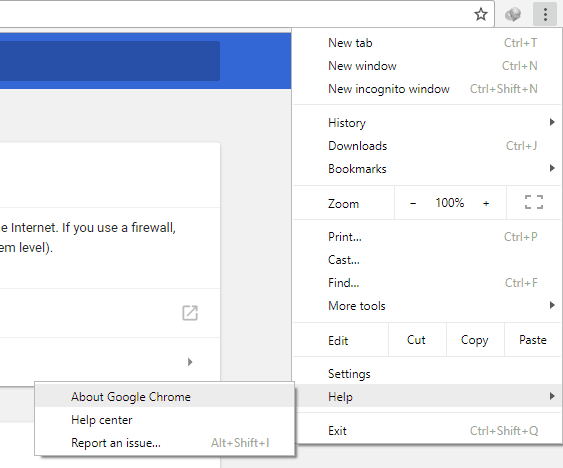 Resetting Google Chrome settings to default will disable all extensions and clear temporary data, this is useful but I think creating a new user profile in Chrome is a good way to experience Chrome as a new installation. 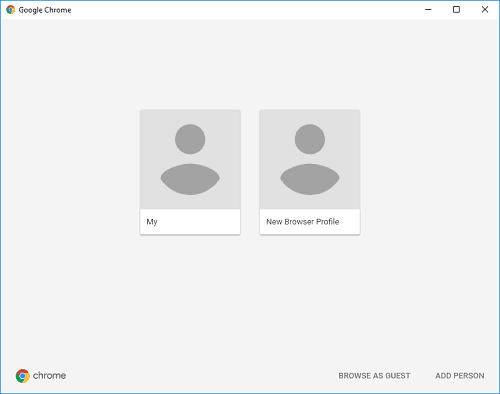 Your current chrome profile may have been signed with your Google Account, which in the background syncs the browsing data to Google servers. Old profile data such as browser extensions, browsing history, cookies, and other browsing data will not be used in a new profile. To create a new browser profile, go to Chrome settings and click ‘Mange other people’. Add a new person, type the person’s name and save the profile. Select the profile of the new person and close the old person’s window. Generally, Chrome automatically updates in the background on Windows and Mac computers without any permission. If you have manually disabled automatic updates and used any earlier version, please update your Chrome browser to the latest version from the Chrome menu> Help> About Google Chrome. Google Chrome team improves new chrome versions for performance and speed.